Restore your SN-95 or New Edge Mustang down to the last detail with a new Mustang fan warning decal! 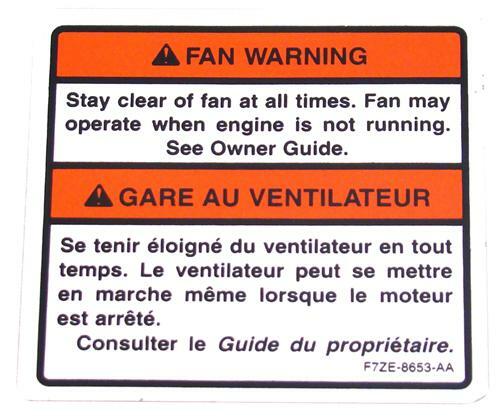 This Mustang Fan Warning decal sticker goes on the top of the fan/radiator shroud and acts as a warning label for the proximity of the cooling fan. Perfect for adding the finishing touch to your Mustang restoration project.